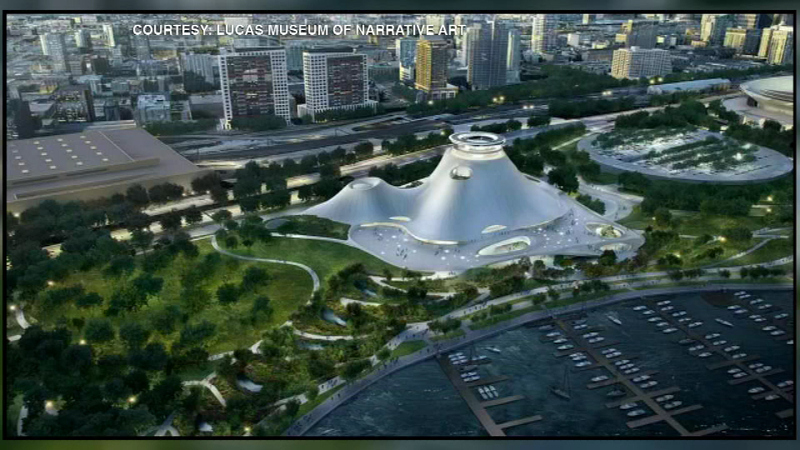 CHICAGO (WLS) -- The Lucas Museum is one step closer to reality after the Chicago Park District signed off on a 99-year lease on lakefront land for the museum Wednesday. Construction could begin next spring. Supporters say it won't cost taxpayers any money and will add to the culture of the city. Friends of the Parks said it will continue its court battle. The group says the museum shouldn't be built on the lakefront.